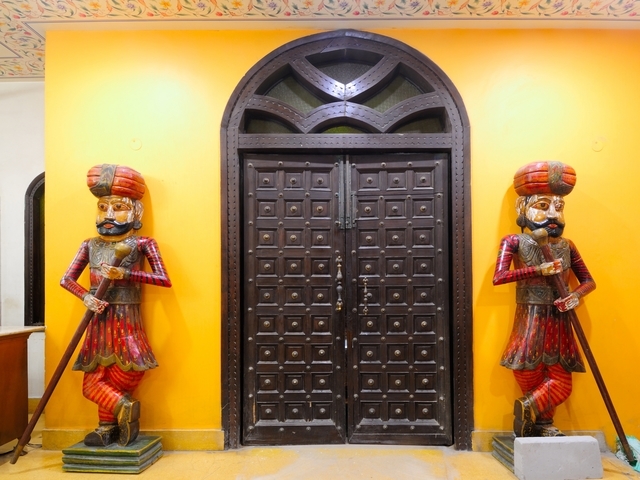 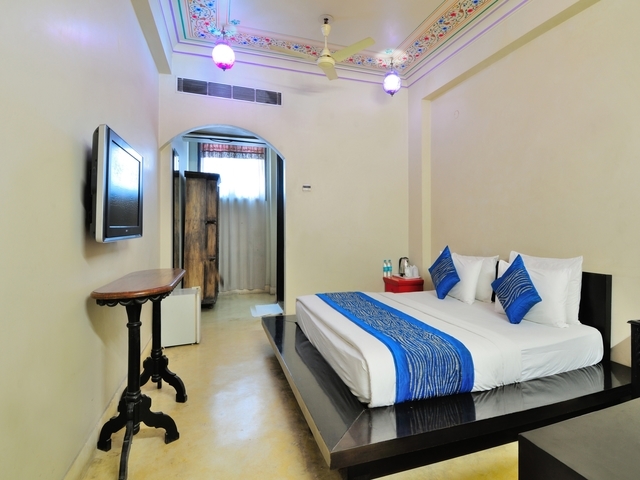 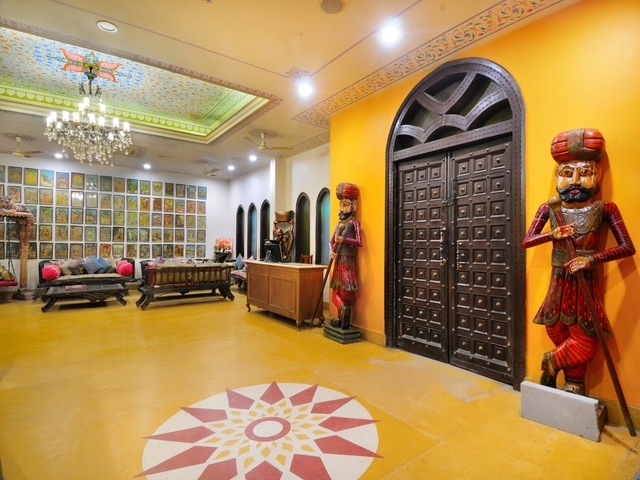 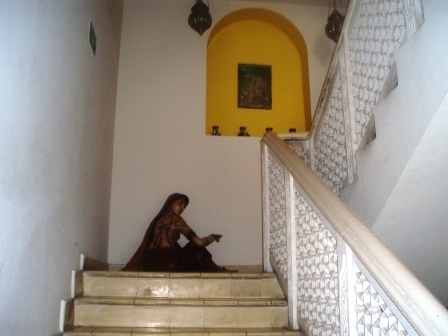 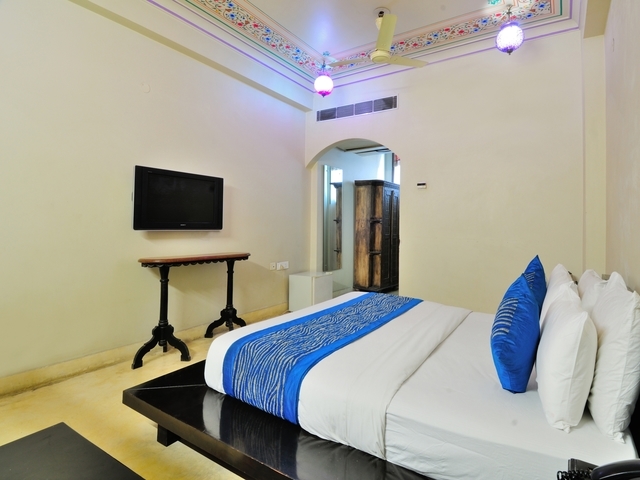 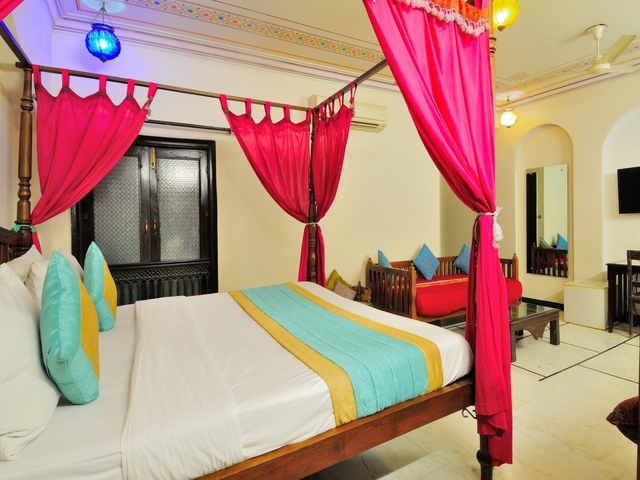 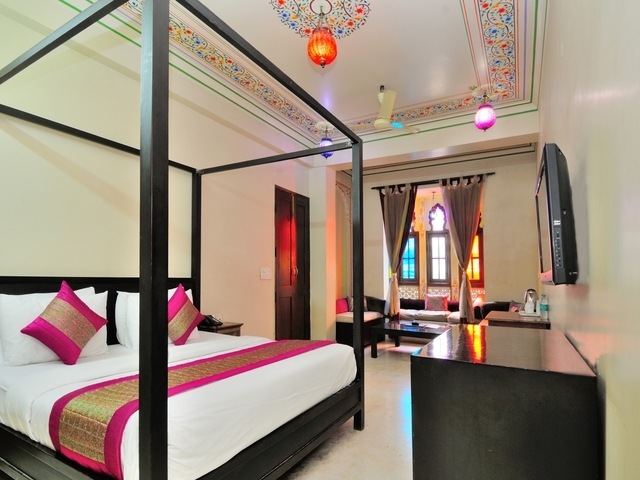 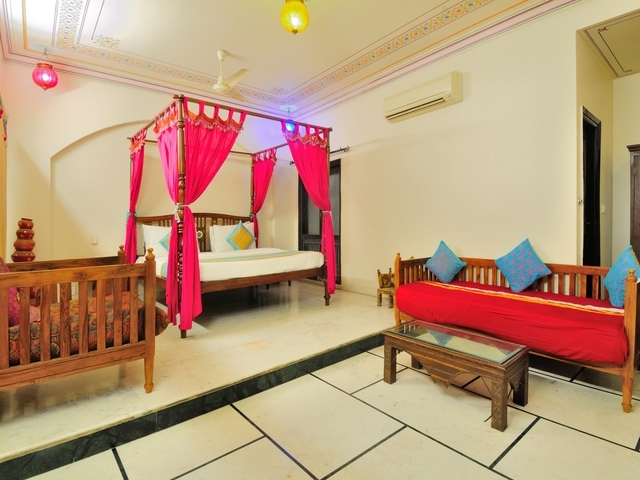 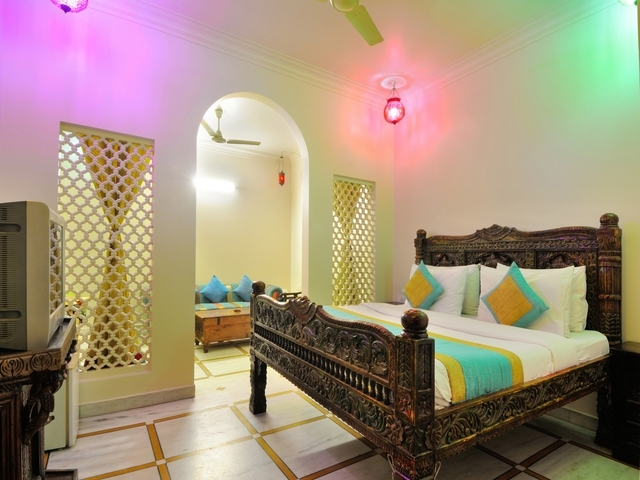 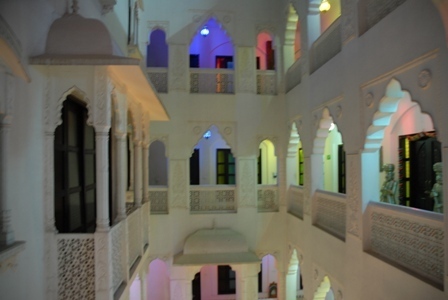 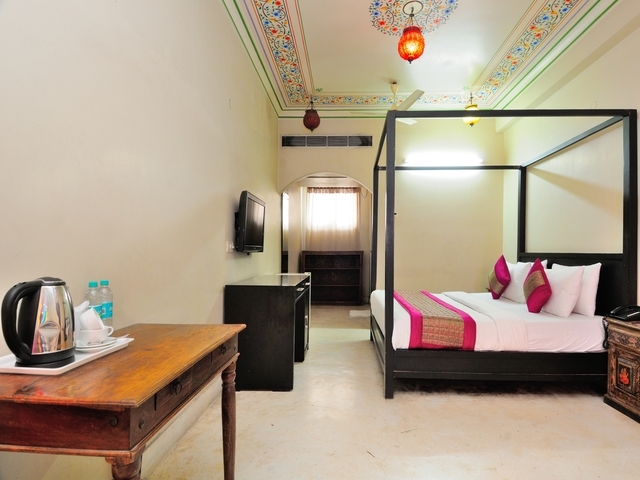 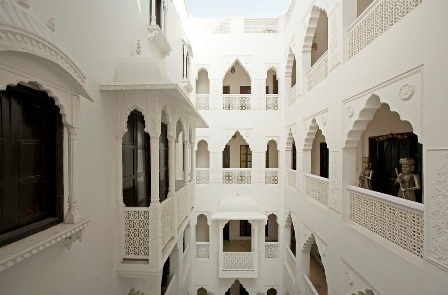 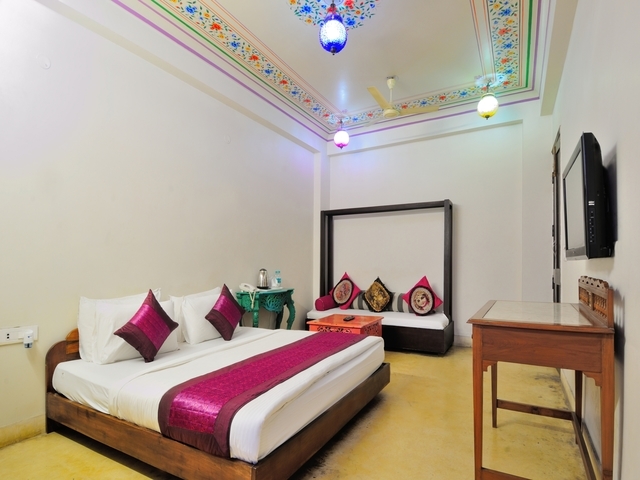 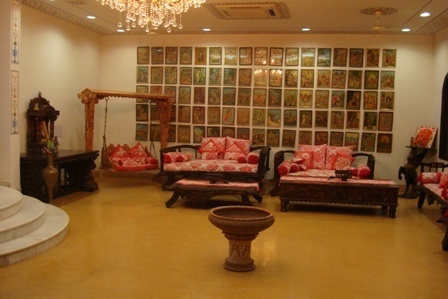 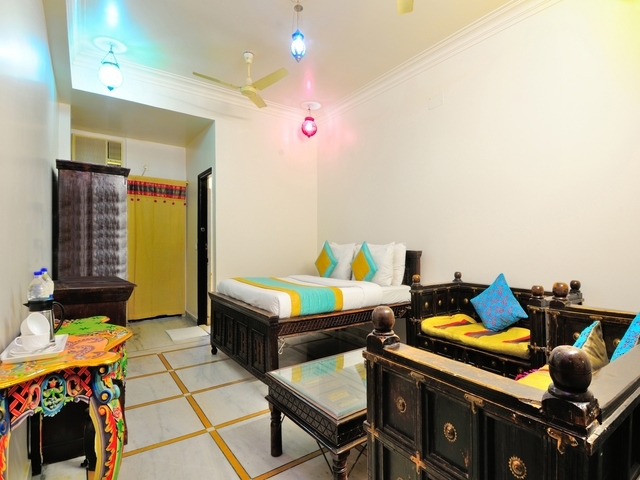 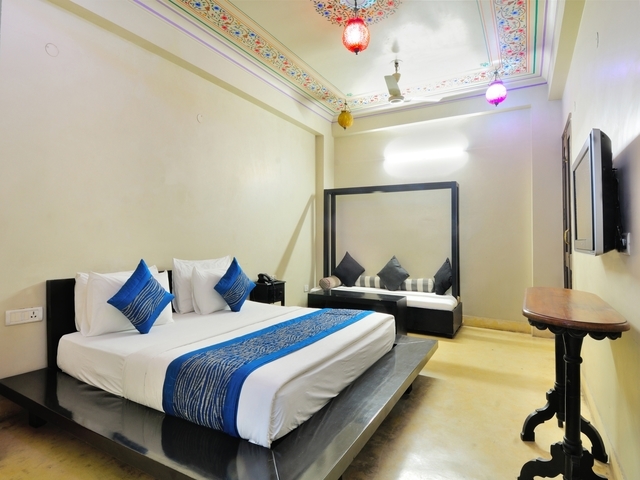 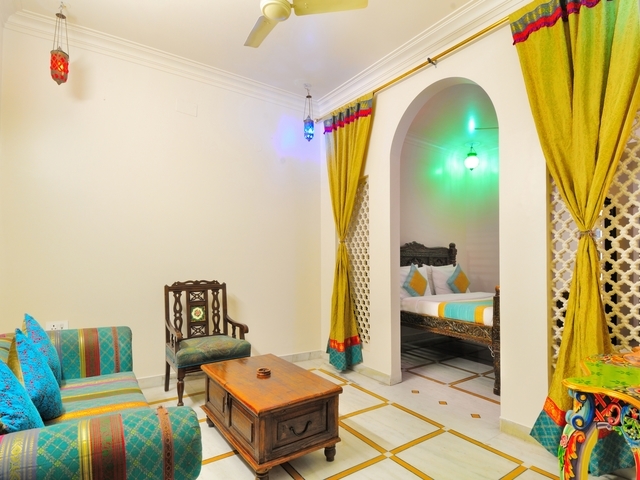 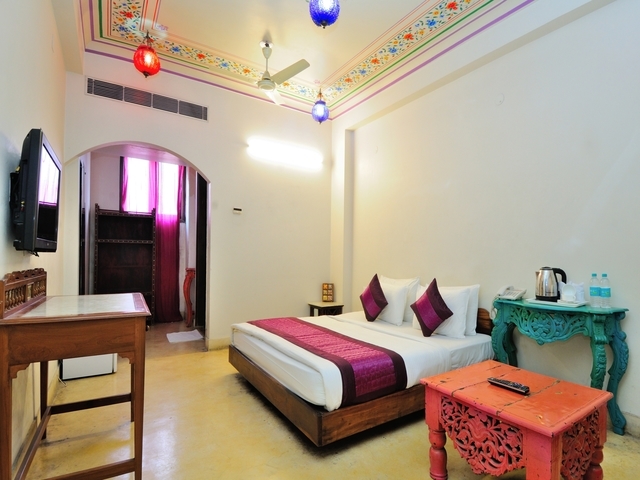 Located in the popular area of the city - Paharganj and set in a traditional ambience, Jyoti Mahal located at Nalwa Street Chuna Mandi Paharganj is a posh heritage hotel in New Delhi that guests choose for its Rajasthani architectural beauty, upscale interiors, unique ambience and superb hospitality. 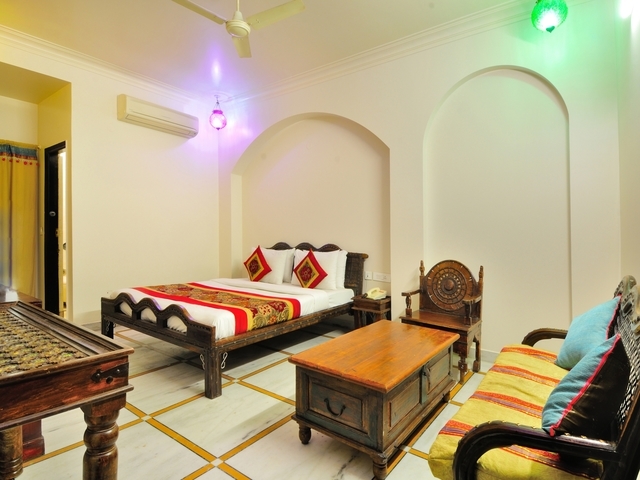 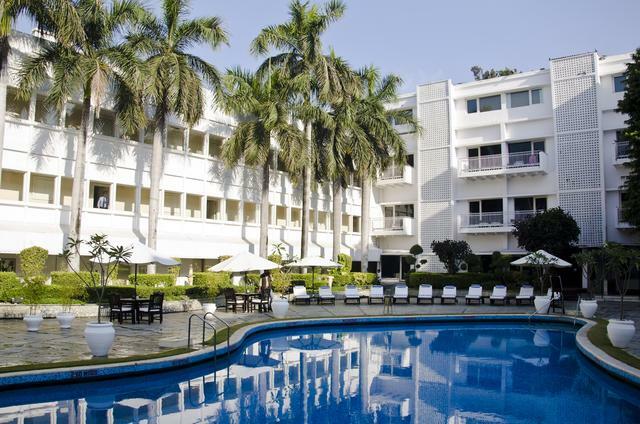 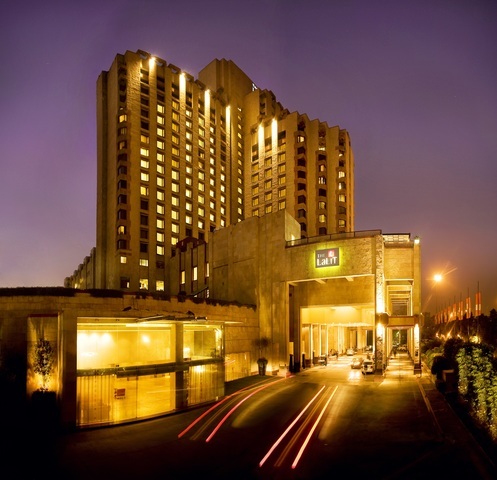 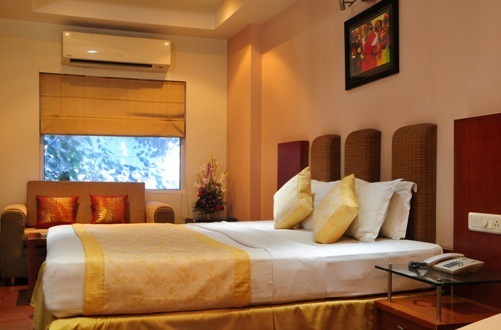 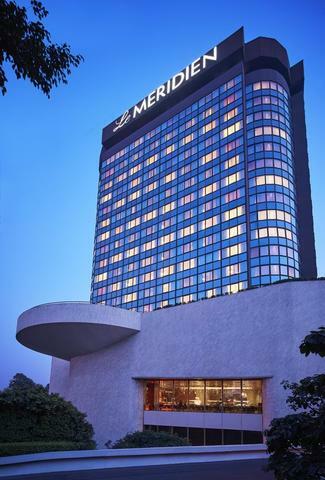 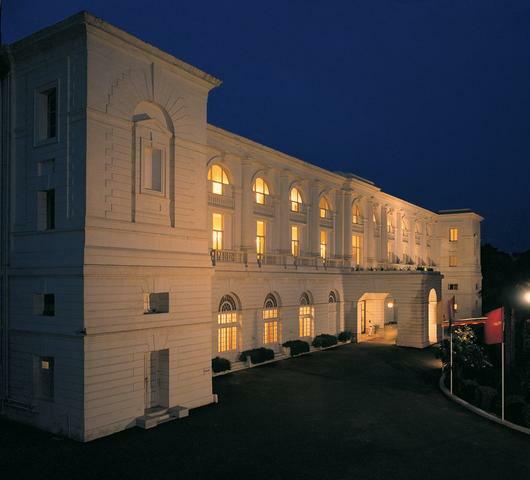 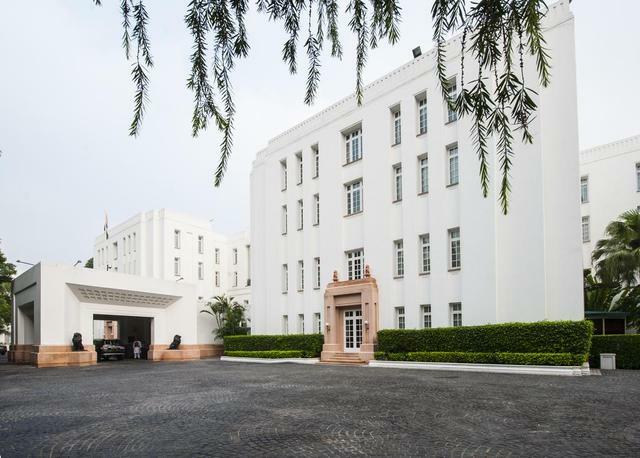 This 3-star hotel in New Delhi proudly owns 34 palatial air-conditioned rooms as deluxe, deluxe triple and royal suite that are furnished with heritage style traditional wooden beds, wardrobes. 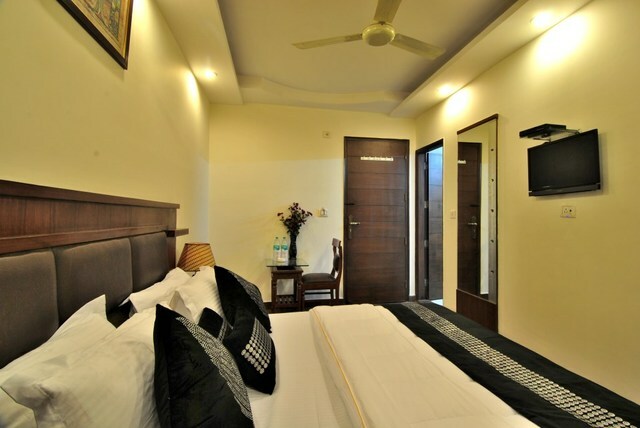 The in-room features include AC/fan, seating area, wardrobe, safe deposit box, clothes dryer, refrigerator, clothes rack, seating area, dining area, spacious bathroom with hot/cold water. 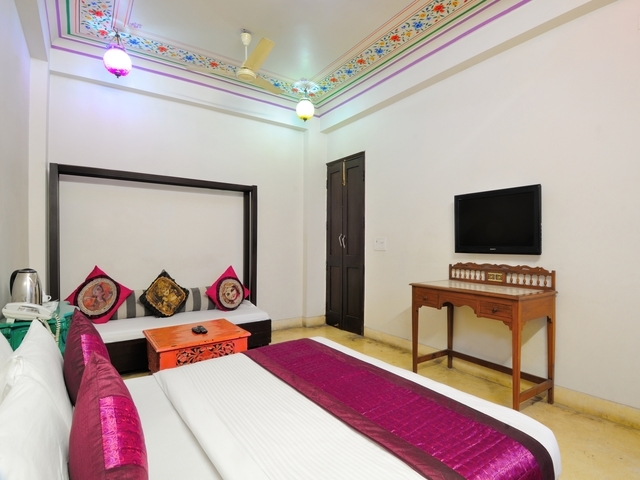 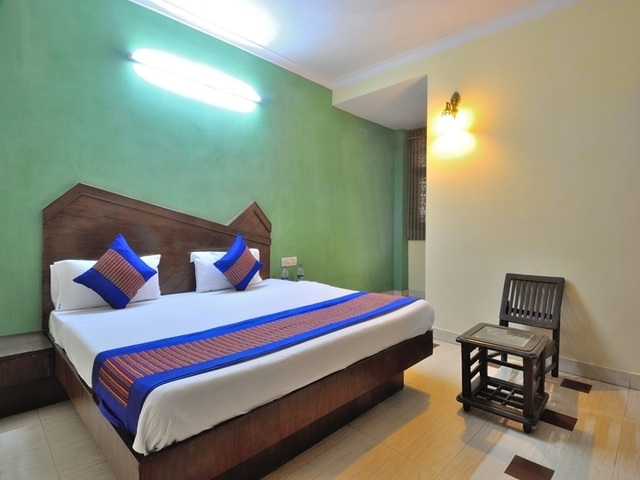 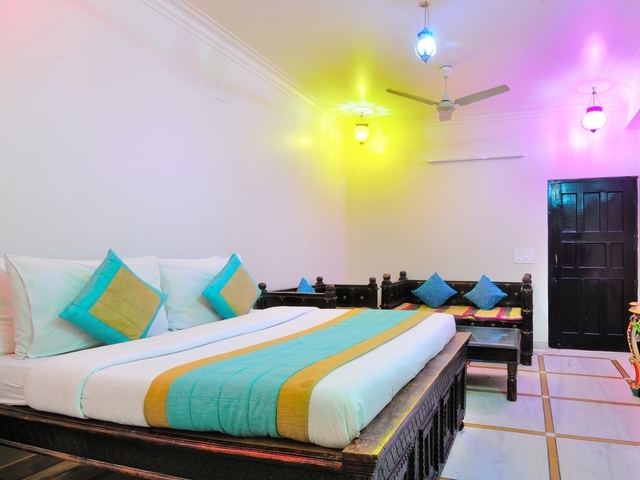 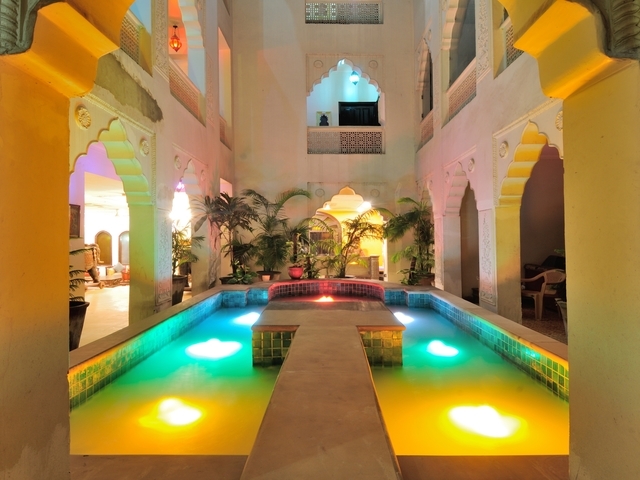 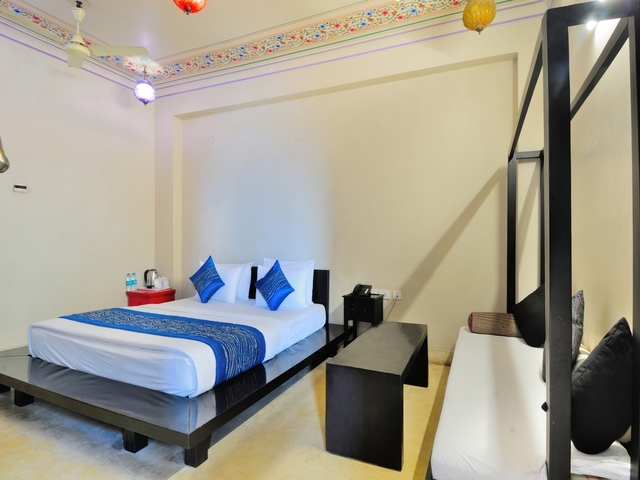 With pretty colourful lamps and modern amenities including a mini-refrigerator and flat-screen TV, the hotel creates a wonderful amalgamation of old world charm and contemporary facilities. 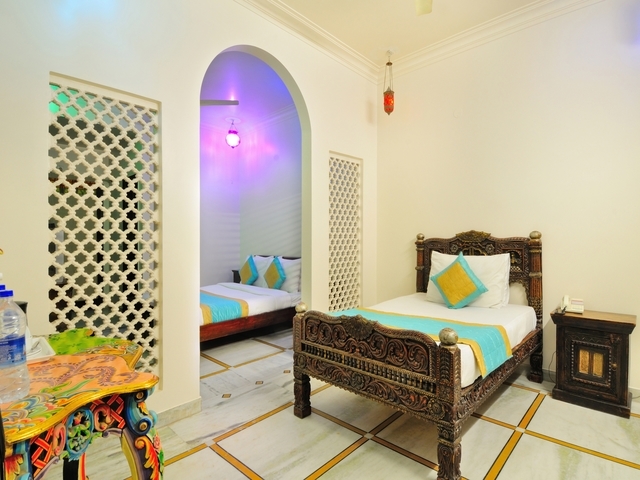 The attached private bathrooms too are spacious with Indian white marble and exclusive designer toiletries. 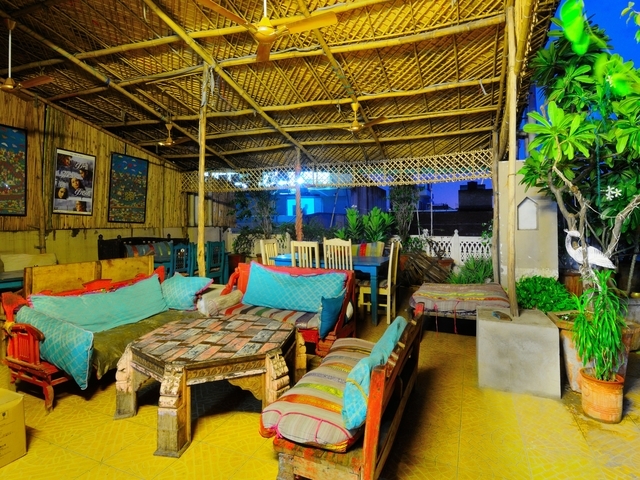 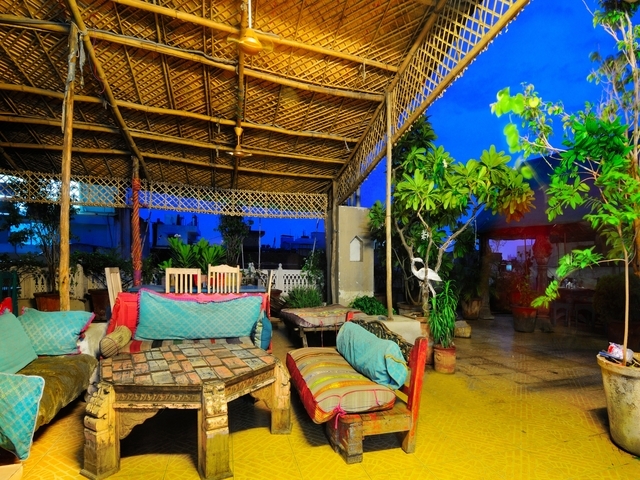 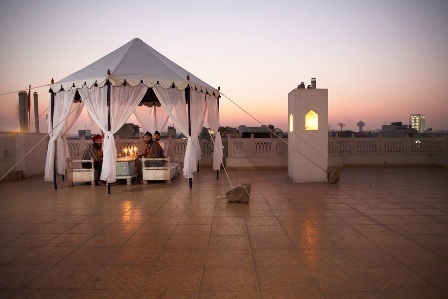 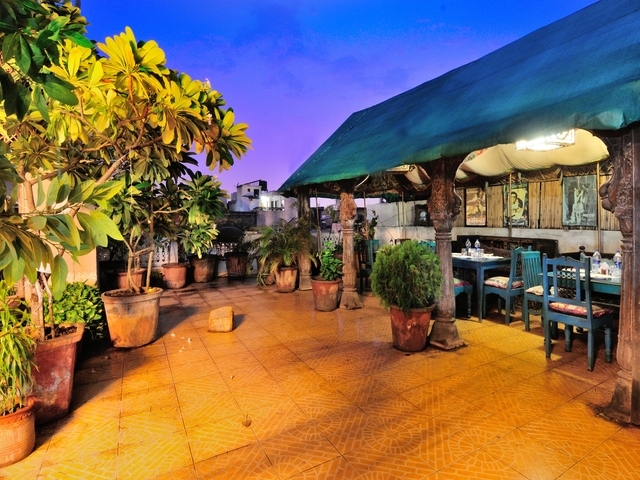 The Hawa Mahal Rooftop Garden Restaurant is an eclectic dining space with offbeat and traditional seating arrangements with designer lamps where guests are served with a delightful buffet. 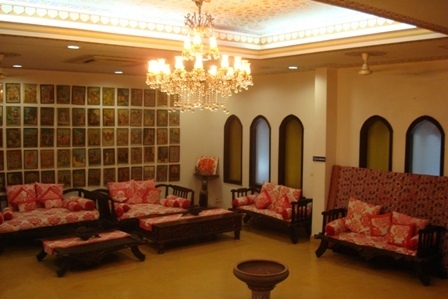 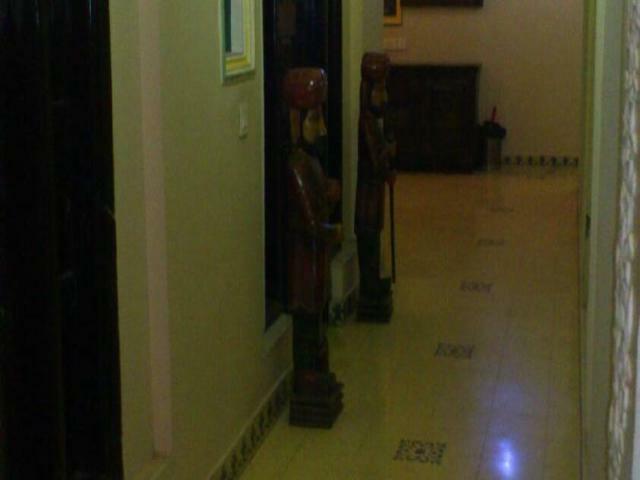 The indoor restaurant too is a lovely place to dine at where classic interiors and furnishings cast a royal effect. 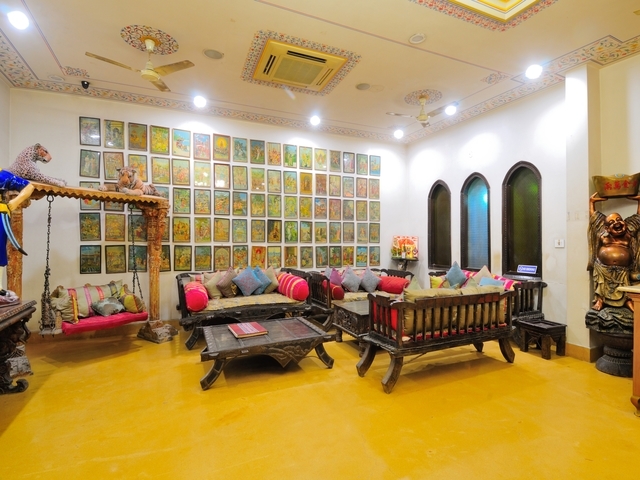 Guests can roam around as the property is just 550 m from RK Ashram Marg metro station, 2.2 km from New Delhi railway station and 17 km from airport. 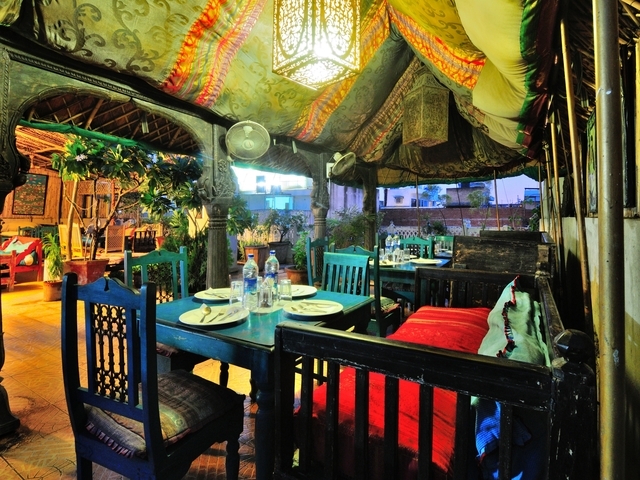 Things to do in Delhi are plenty, if you are a shopaholic, shopping in New Delhi would be a fun experience for you as Paharganj, Craft House, Central Craft Cottage Industries, Connaught Place, Janpath Market, Karol Bagh and Chandni Chowk are bazaars where you will find exclusive items to purchase. 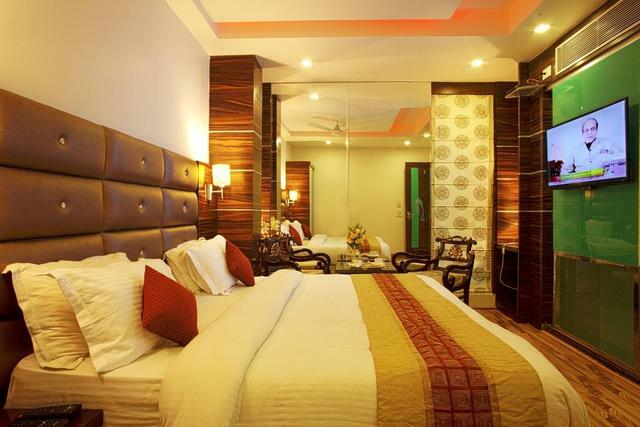 As a tradition, you must visit the famous tourist attractions in New Delhi like India Gate, Ramakrishna Mission, Madame Tussauds Delhi, Rama Krishna Ashram and Jantar Mantar. 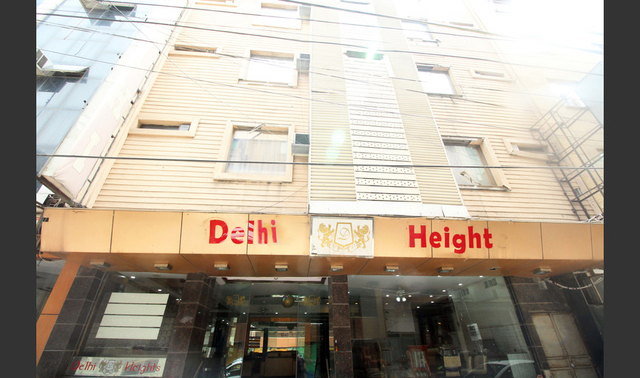 As a devotee, you would love to visit the religious sites in New Delhi such as Jama Masjid, Lakshmi Temple, Gurudwara Bangla Sahib, Hanuman Temple and St. Martins Church.